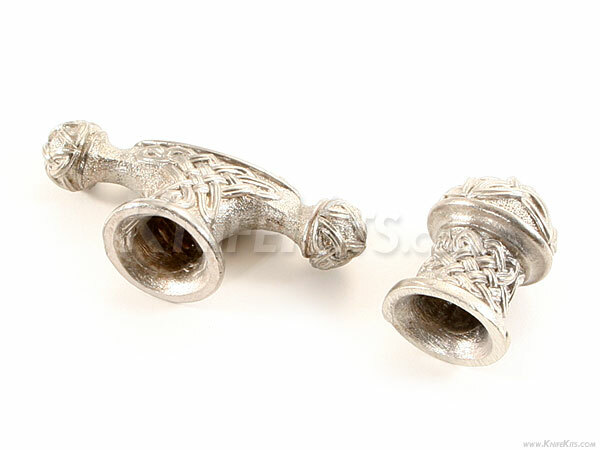 This is an engraved pommel and guard set that can be used to complete a custom hidden tang dagger style design. 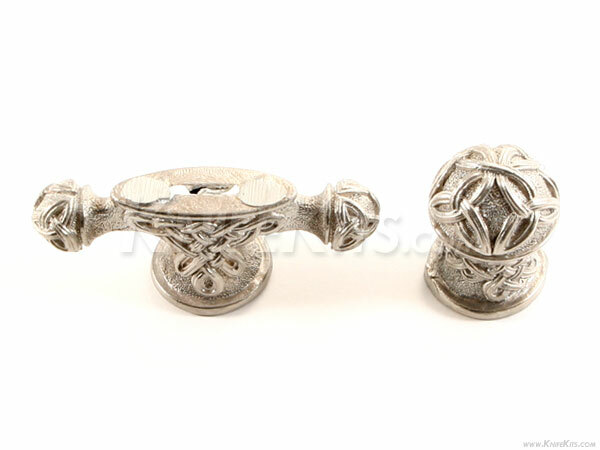 These parts are a matched set, and include decorative celtic-style knot work on both parts. The guard features a (.500" x .065") slot, which can be easily enlarged. Both guard and pommel feature deep slipover cavities for versatile fitting. 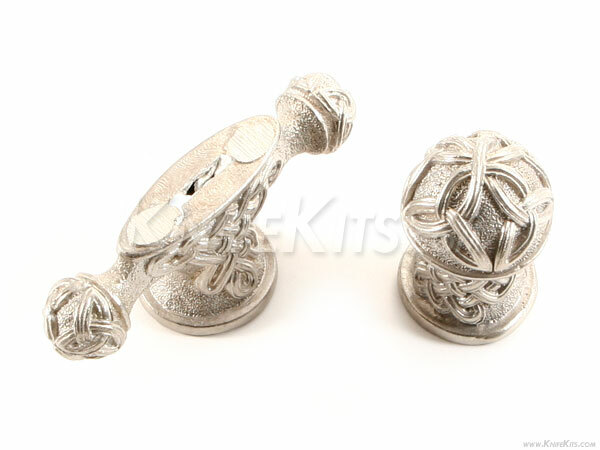 These are a very high-quality, hand cast set!